2/ 80% workers had 3years or more skills for same work process. 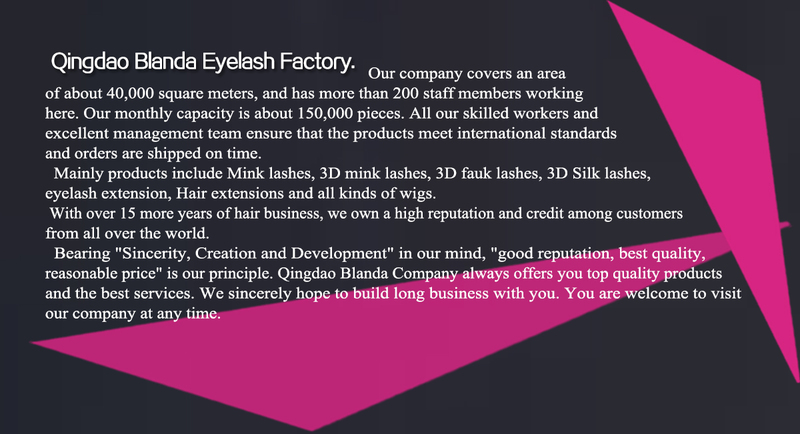 4/UPS,FEDEX,DHL,TNT fast delivery Qingdao Blanda Eyelash Factory. 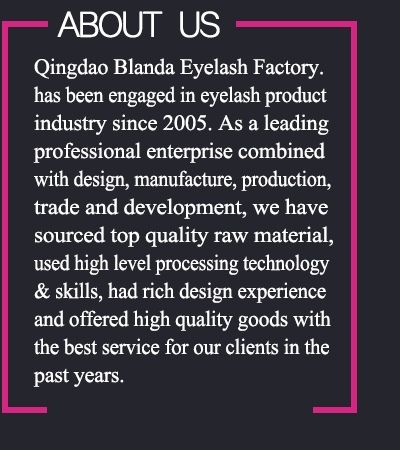 has been engaged in eyelash product industry since 2005. 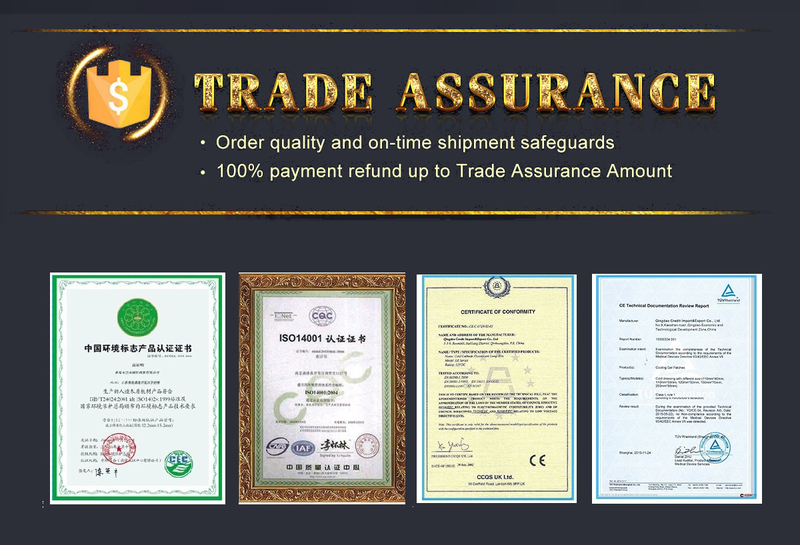 As a leading professional enterprise combined with design, manufacture, production, trade and development, we have sourced top quality raw material, used high level processing technology & skills, had rich design experience and offered high quality goods with the best service for our clients in the past years.